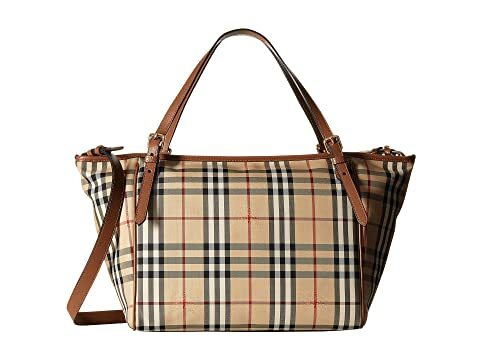 Canvas tote with iconic Burberry® check print and faux leather trim. Adjustable messenger strap and dual shoulder straps. Flat bottom supports upright structure. We can't currently find any similar items for the Tote Diaper Bag by Burberry Kids. Sorry!